A note to let you know of three exciting opportunities to hear me sing this week! Valentine’s Night – I love this show for you because there is no cover (tips are welcome, and CDs will be available for sale a signing) and because it is reminiscent of my via rail experiences. A small, long room, designed for relaxing in comfort, with me perched somewhere, guitar in my arms, totally unplugged, singing you my songs, just the way I wrote them. And throwing in a few cover songs you might recognize that you can sing along too, if you like. You can bring your main squeeze, or come on your own. Love might be on the way, so, if you are single, come socialize! I will be singing two sets, one at 8pm and one at 9pm. Come after dinner and enjoy a musical desert! Or come with an appetite and enjoy the new hummus feature on the menu (Peter’s famous hummus!) 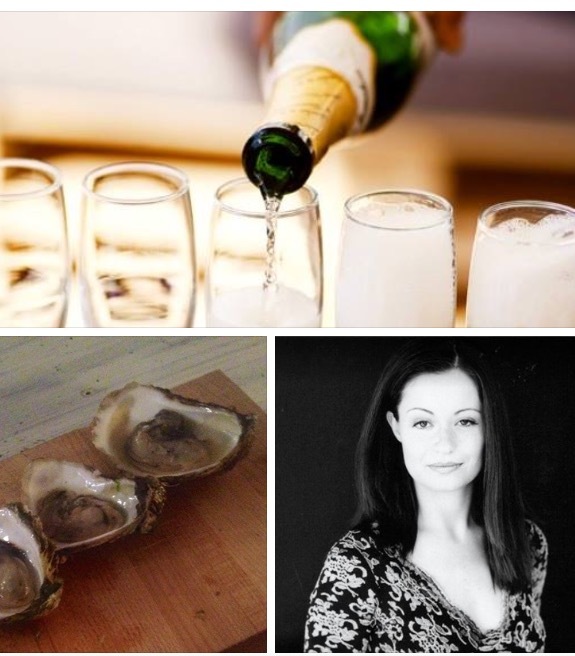 oysters and sparkling wine that will be available. Or the yummy cheese plate. This venue is at 2220 Queen East, very close to my new digs, and the owner, Krista Pollet, is a dream. If you’ve never been, or if it’s been awhile, come and check out Corks and Platters on Queen East. More deets and RSVP HERE. And I’ve got two shows at Winterfolk this week: Sat Feb 17th I will be at Terri O’s (185 Danforth). This is my first time playing at this venue on the Danforth, and I have heard wonderful things, and the interesting bit is, my set is at 3pm! I’ll be joined by hunky Peter Collins on bass. 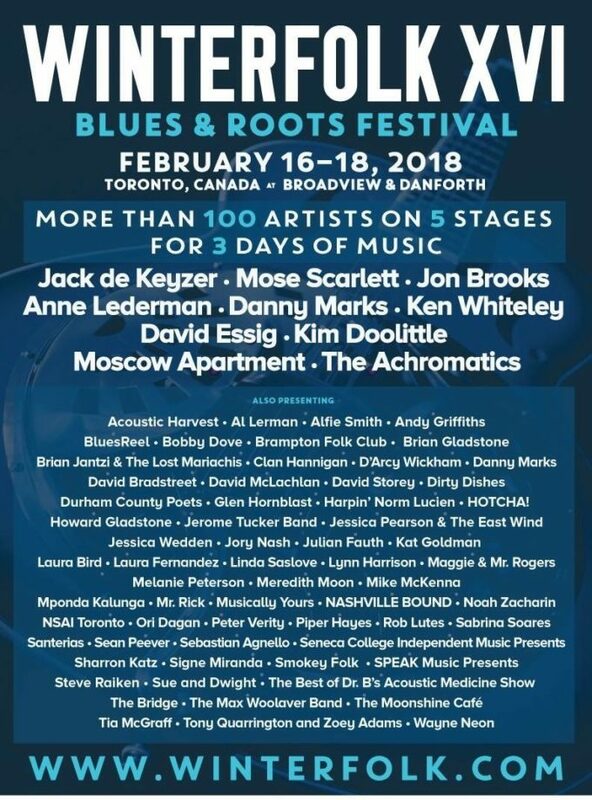 You can come to the show after enjoying a delicious lunch on the Danforth, pick up a wristband at the door and check out all the amazying folk acts that are available to listen to over this weekend of folk music on the Danforth in Toronto. Click HERE for the Winterfolk schedule/more info about the festival. Click HERE for more deets and to RSVP for my Saturday afternoon show at Terri O’s. The next day, on Sunday Feb 18th I’ll be playing in a song-circle at 8pm at Globe Bistro (2nd floor 124 Danforth). I’ll be sharing my original songs and stories alongside these two talented songwriters: Laura Fernadez and Linda Saslove. The show is called Ladies Night and will be hosted by songwriter David McLachlan. It’s been a while since I’ve done a song-circle (we take turns playing songs) and I’m very excited about this one. This is a great chance to sample 3 songwriters at once. Click HERE to RSVP and for more information. Beyond that, I’m writing up a storm, and look forward to sharing new music, and offering you t-shirts at my shows, very soon! 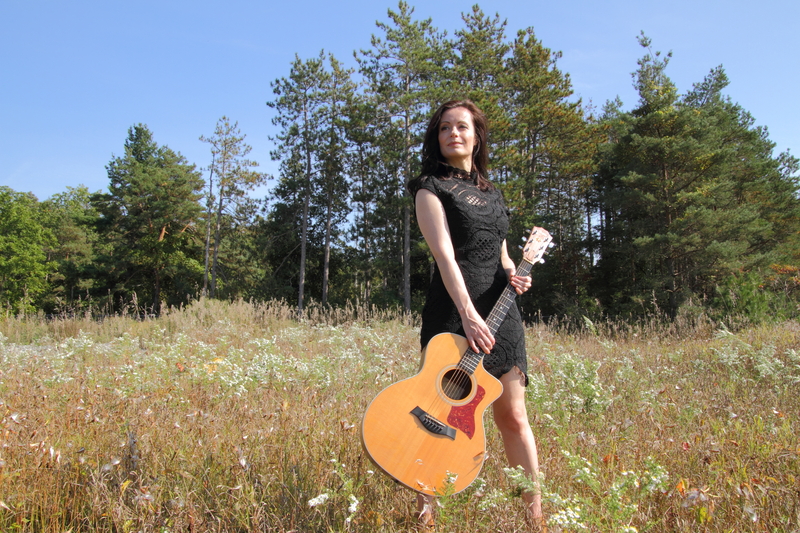 If you’d be interested in an online concert (for those of you not based in Toronto) I’m thinking about doing one of those in the spring/summer for you, so stay tuned. Thanks for being a friend and a fan.